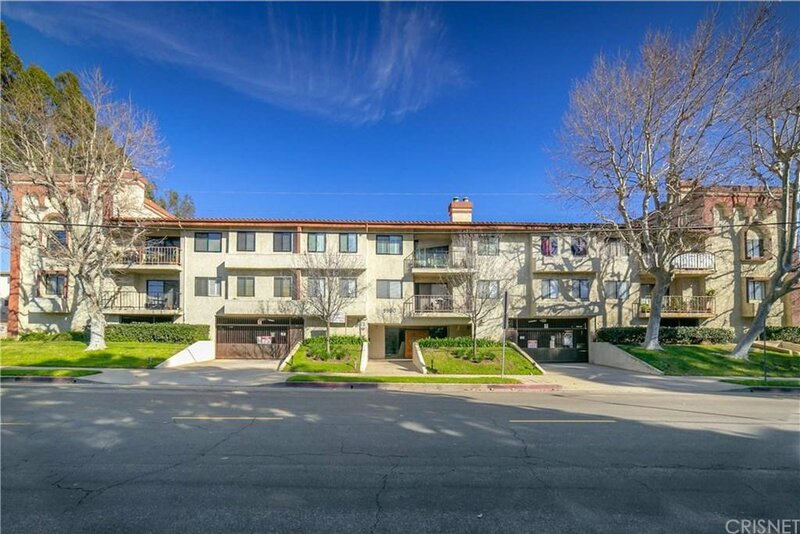 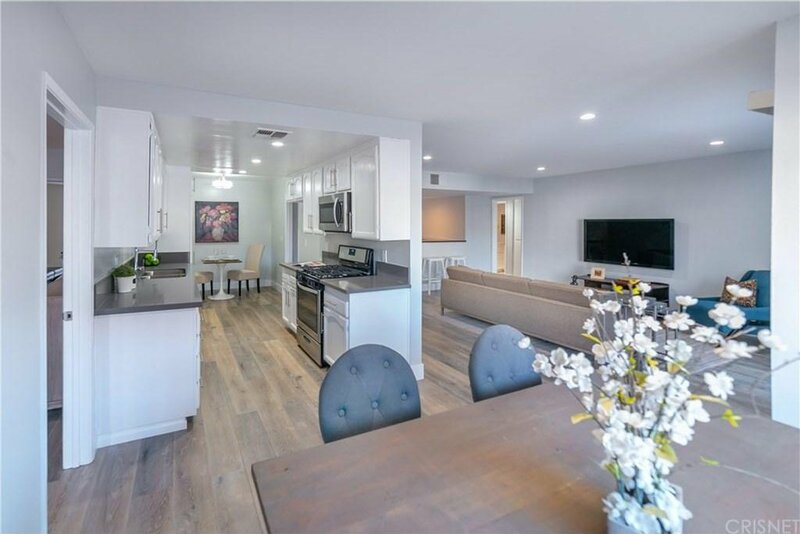 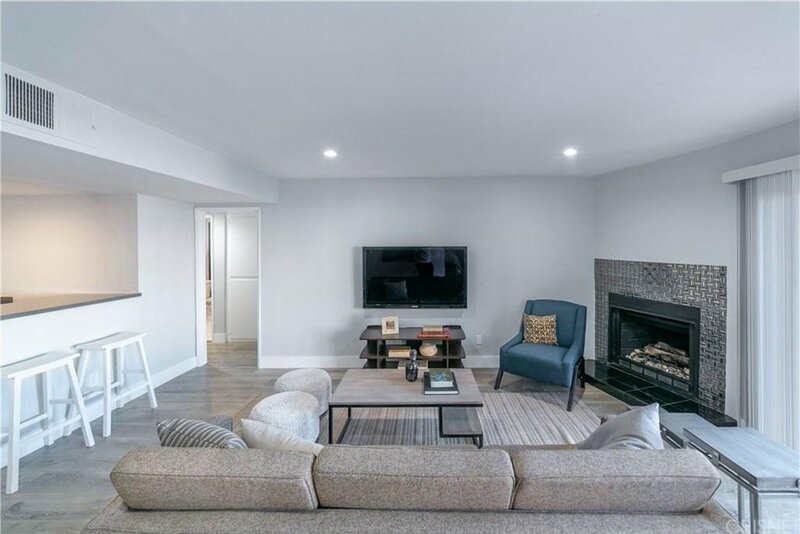 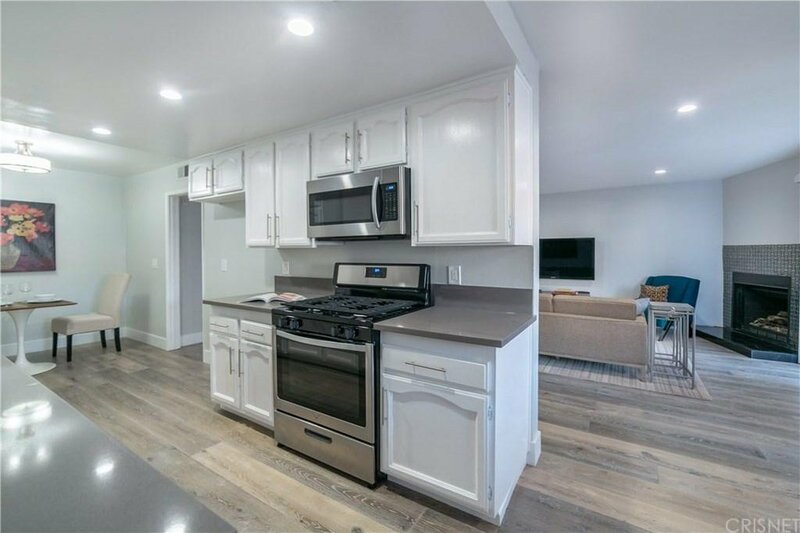 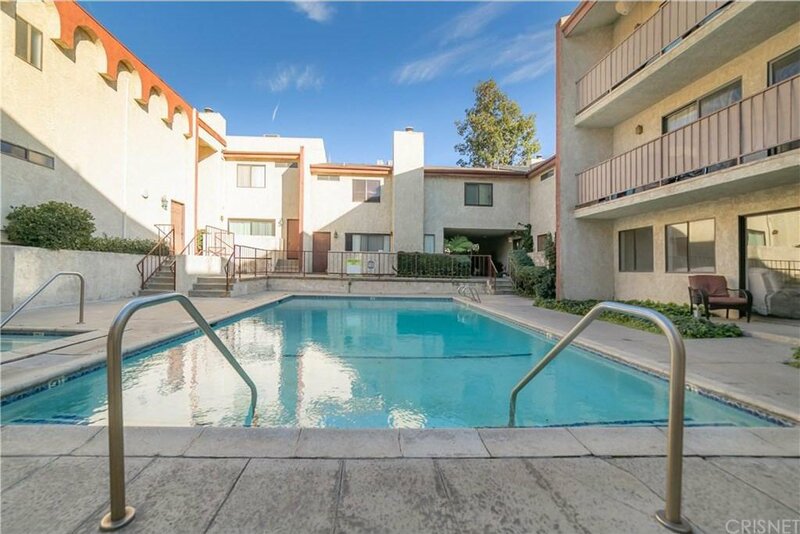 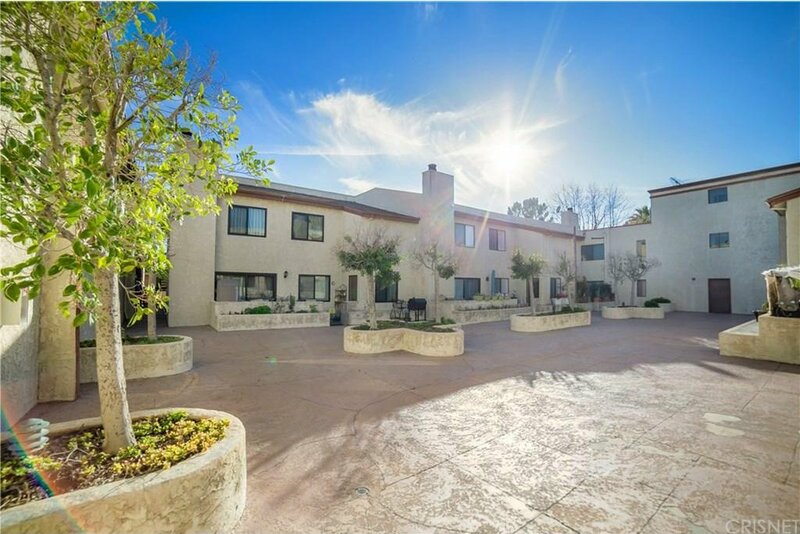 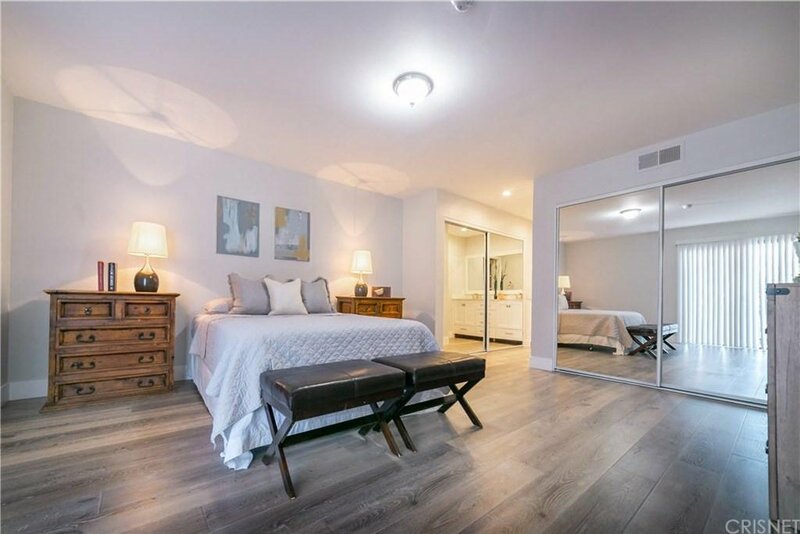 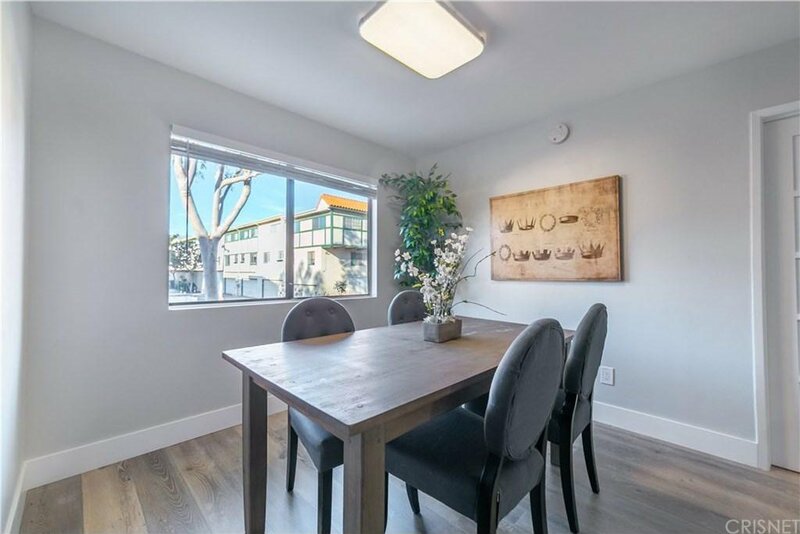 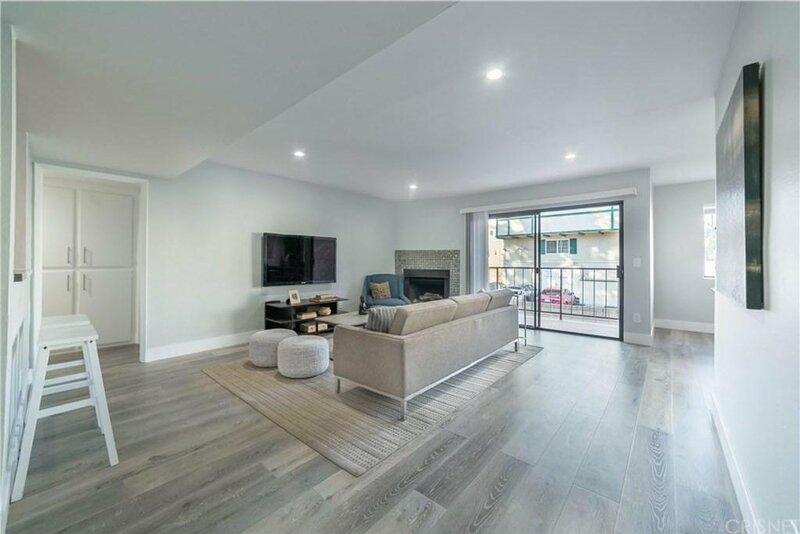 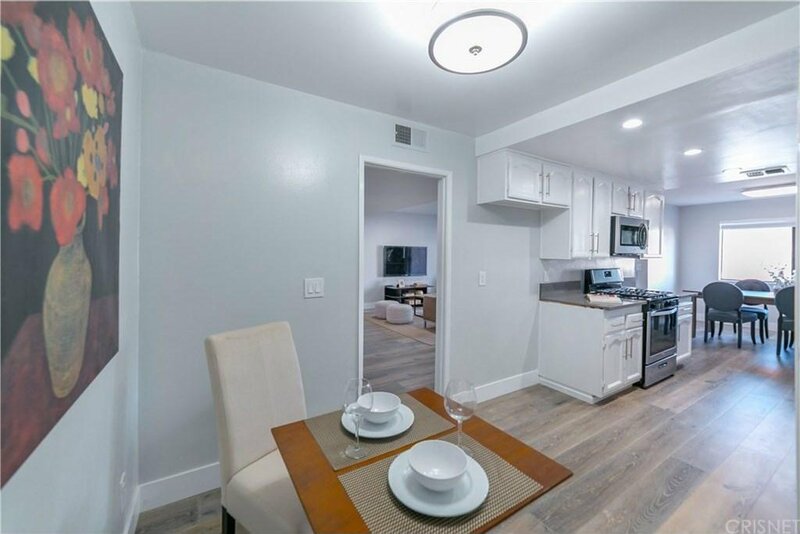 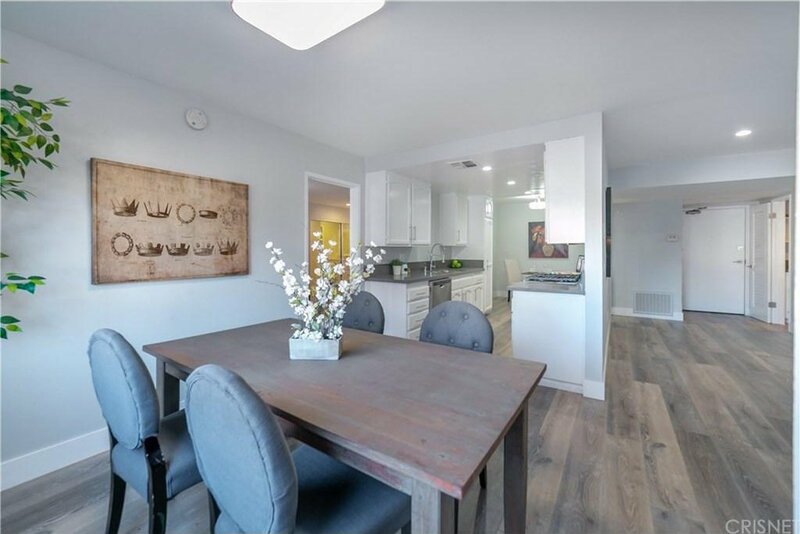 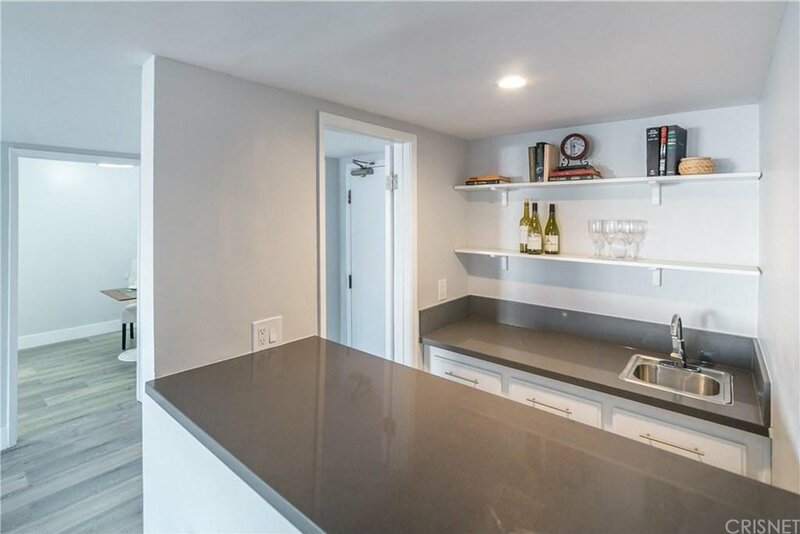 Freshly Remodeled 2 + 2 Condominium with Designer touches throughout! 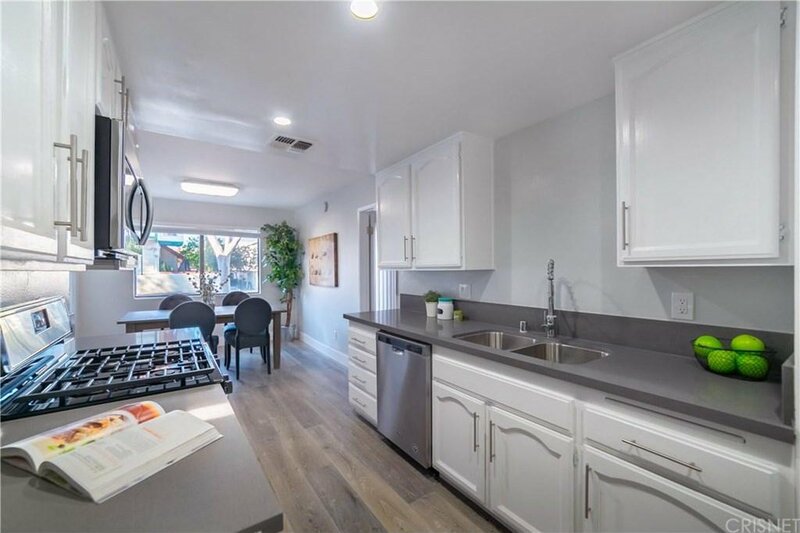 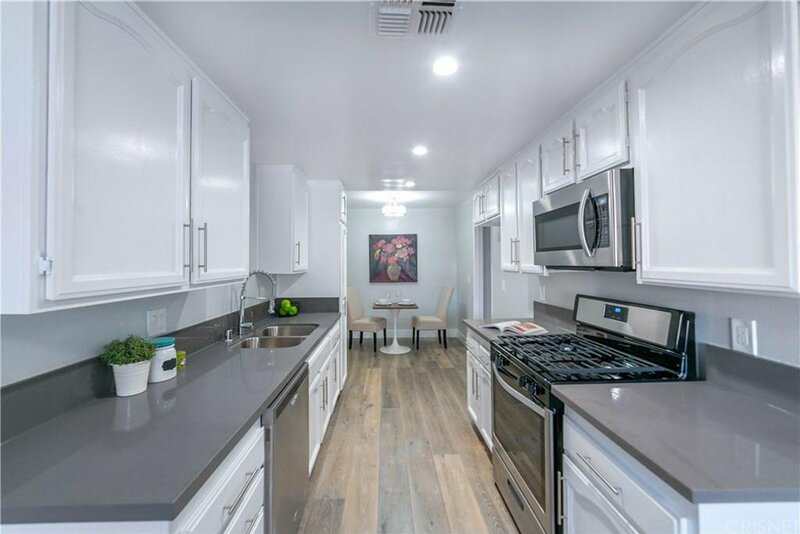 The interior boasts a cooks' kitchen with Quartz counter tops, Stainless Steel Appliances including a gas range, dishwasher and over the range microwave hood. 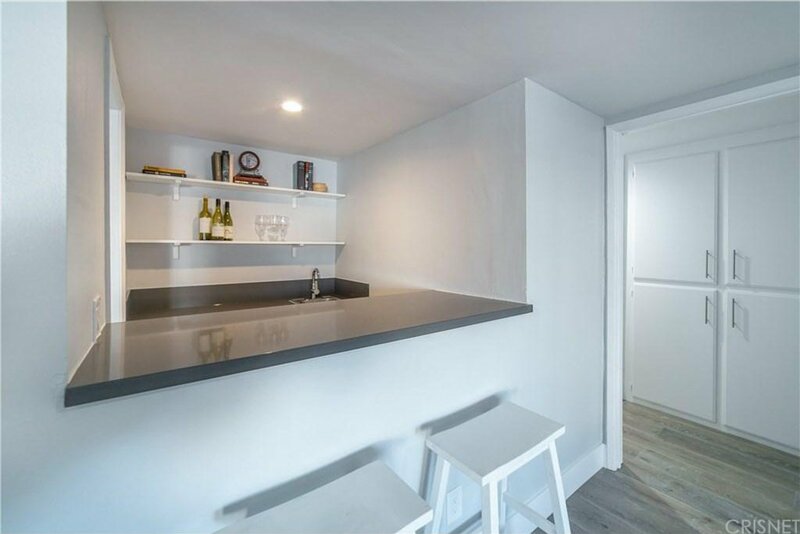 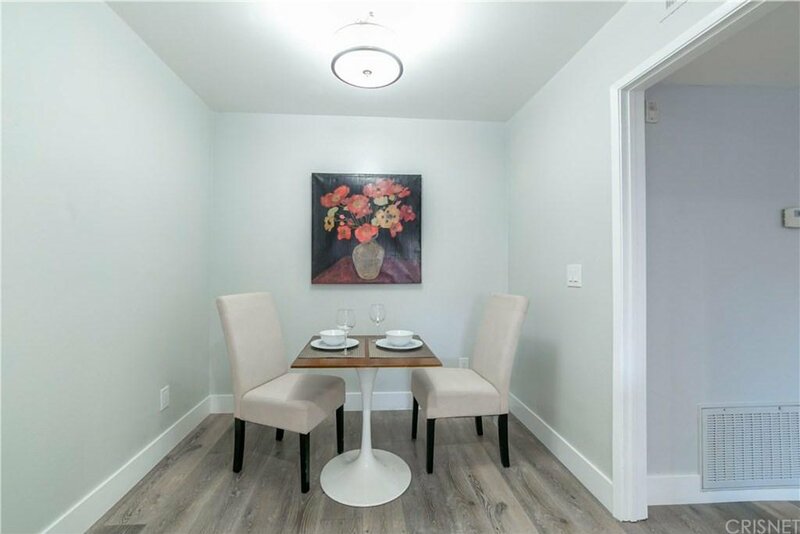 There are two eating areas one for informal dining while the other can be used for formal dining or a secondary dining area. 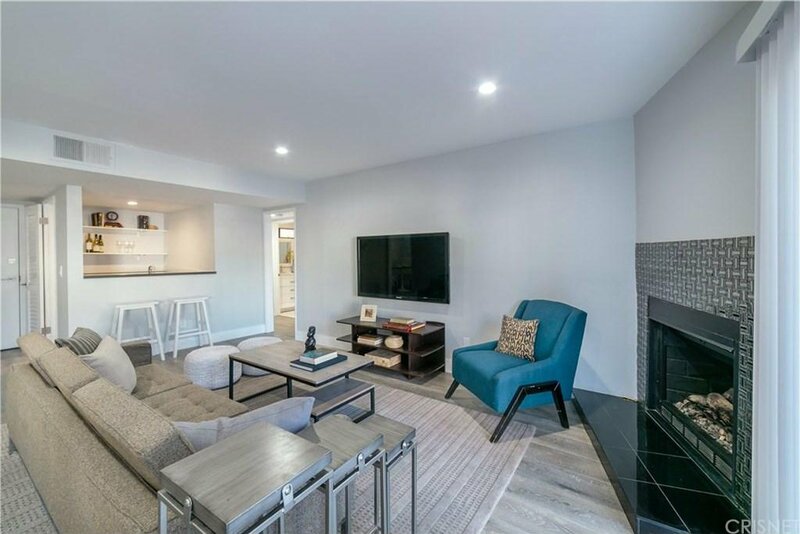 There is a large living room area with a wet bar and gas fireplace with glass tile surround. 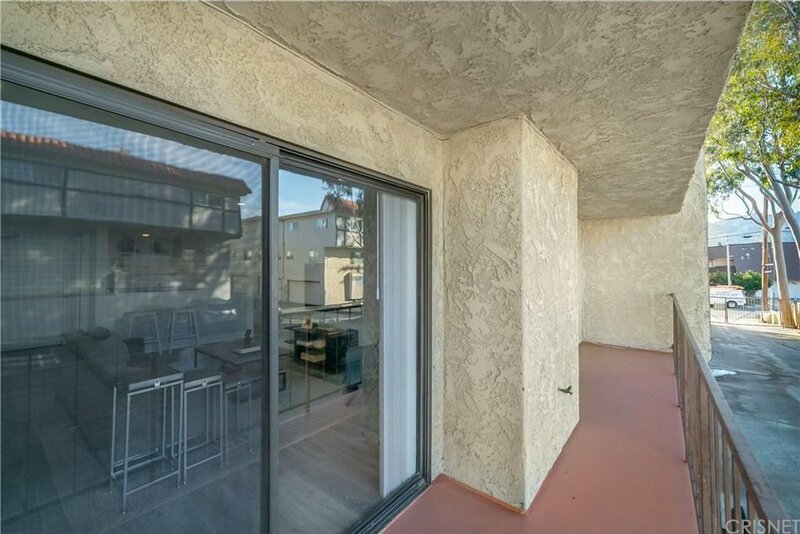 Sliding glass doors lead to the oversized private patio with space for a table and chairs, barbeque or ??? 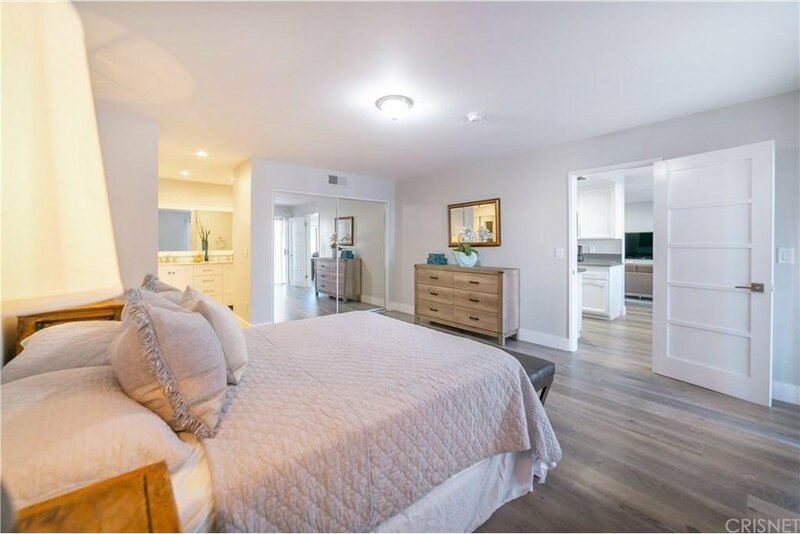 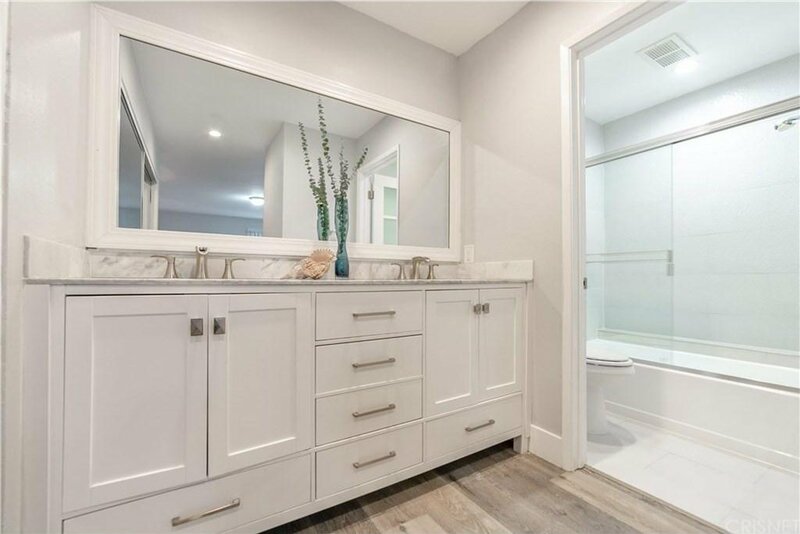 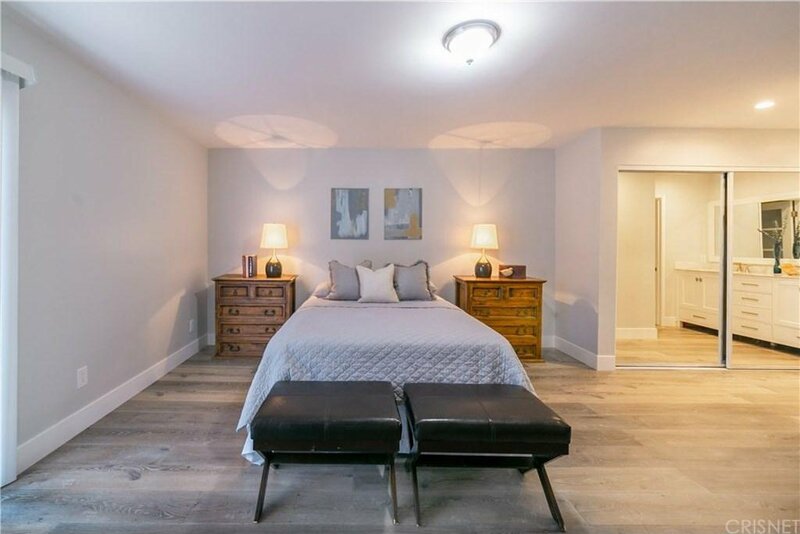 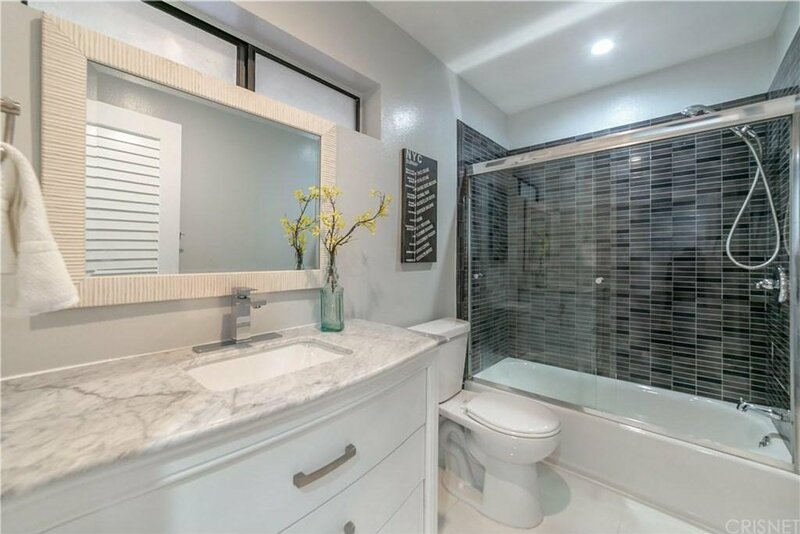 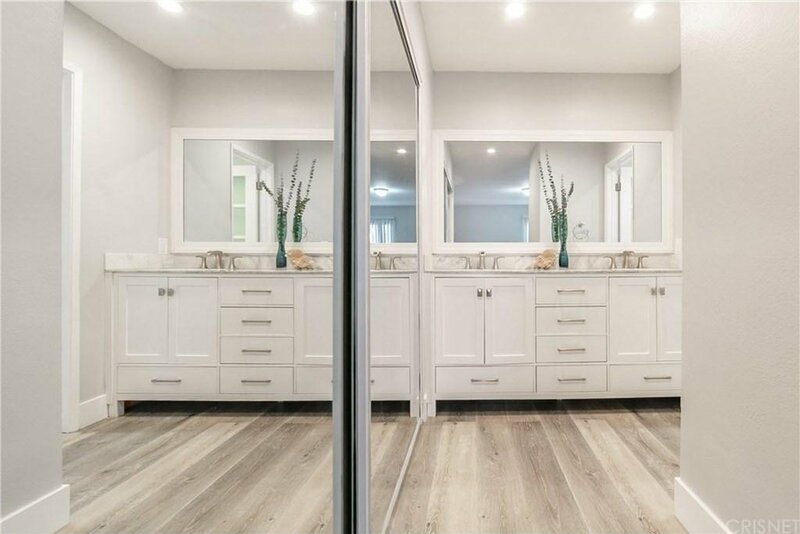 The master suite also has a private patio, two large closets each with mirrored wardrobe doors and a private bathroom with custom tile and double sinks. 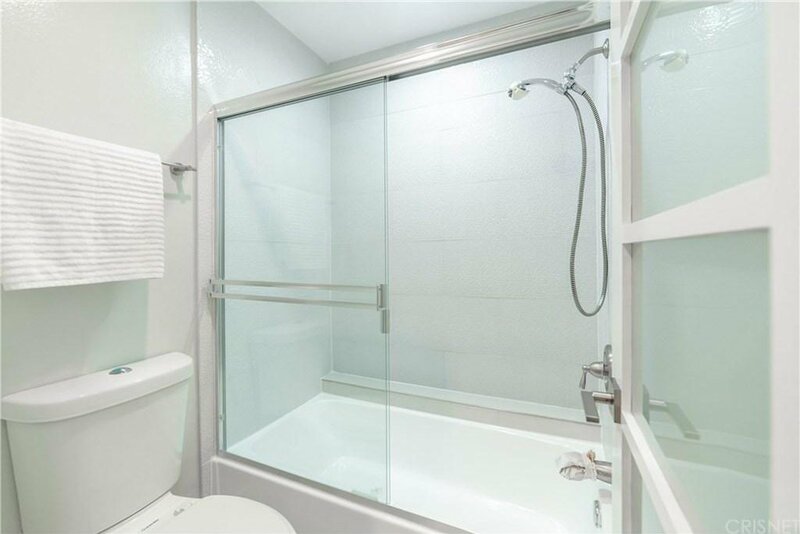 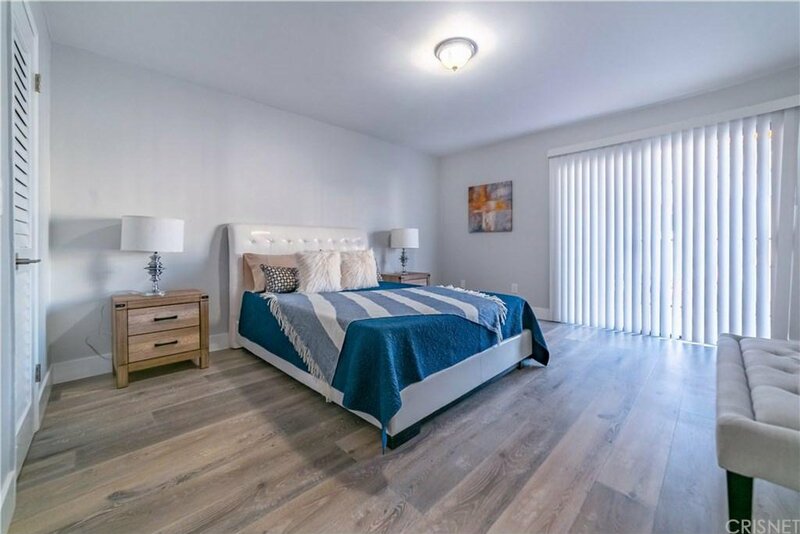 Other amenities include smooth ceilings, recessed LED lighting and laundry inside the home! 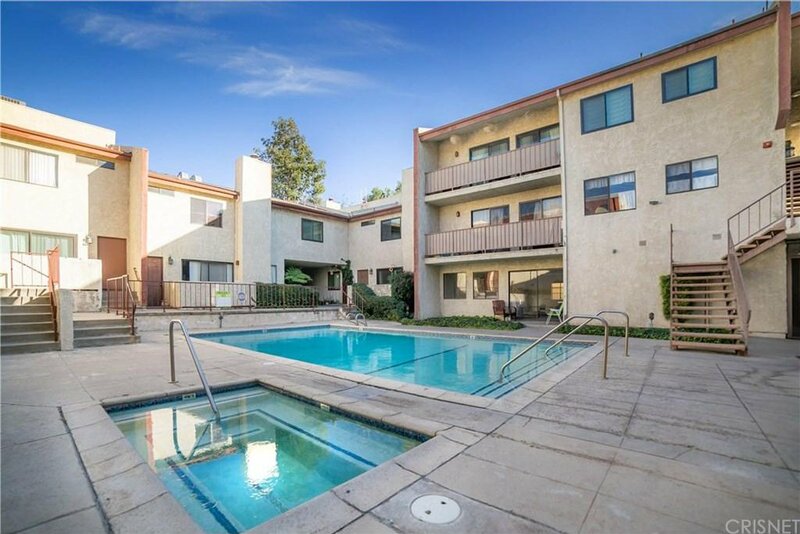 The well maintained community boasts a large swimmer?s pool & SPA and gated, covered parking for two cars. 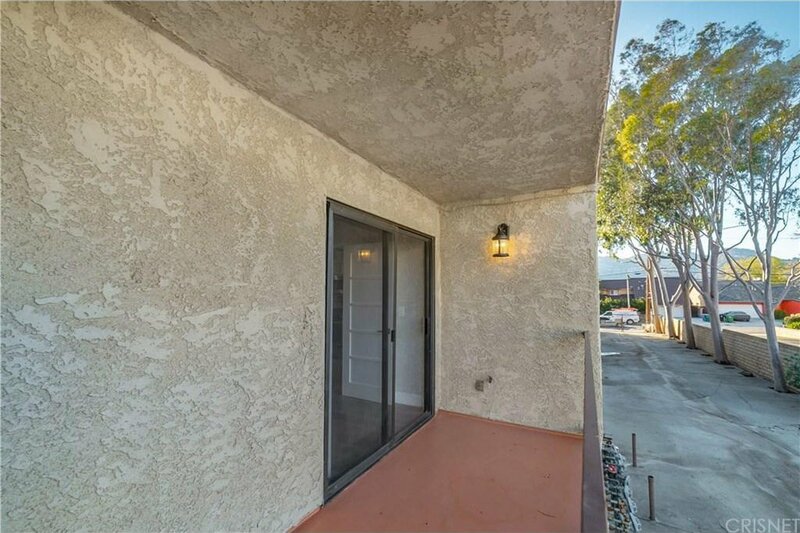 This home is centrally located and close to shopping, schools, parks and easy freeway access - this one won't last! 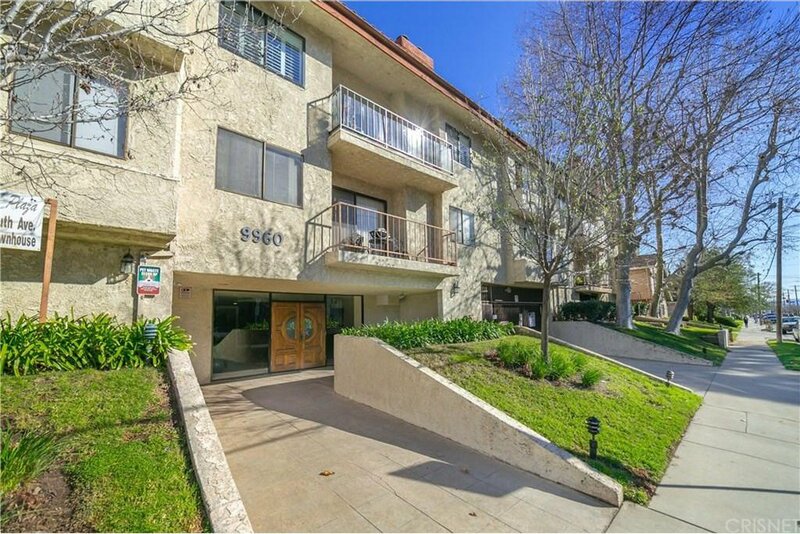 Courtesy of Rodeo Realty, Ron Tanzman - CA DRE#01292685 Selling Office: COMPASS.